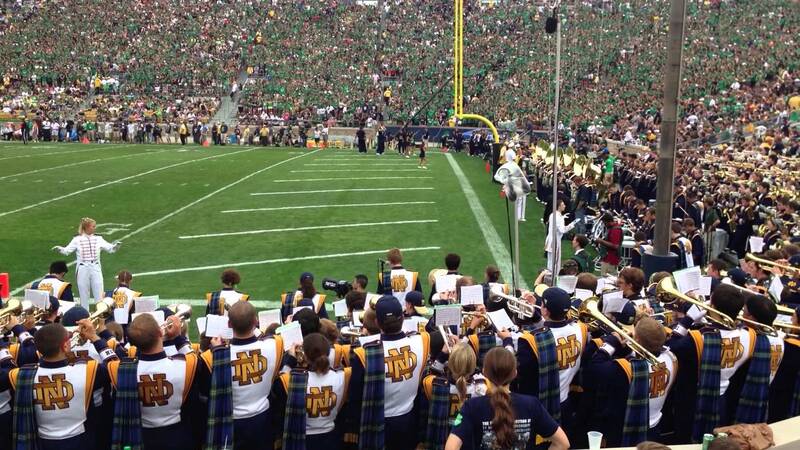 The Notre Dame Band will finish pregame this September and for the first time the band will make their way into the stands and off the field as they are set to become part of the student section. The goal is to create a unified student voice that includes the student section and band together. The university is also hoping that this move will make the game safer. In many games the band has been so close to the action that instruments and band members have been dinged up due to overthrows or crashes with football players. About 450 other seats will also come out of the field level seating which will move all seats off the field. Again the university cited safety as their top priority. This move is a big deal for the Band of the Fighting Irish and should give them not only a better view of the game, but more interaction with the fans in attendance especially the students. If you thought playing at Notre Dame was intimidating before, just wait til this fall. The University of Texas moved the Longhorn Band this past season into a new central location with the student section and it really took the in game atmosphere to a new level. Notre Dame is hoping this move will have the same impact.